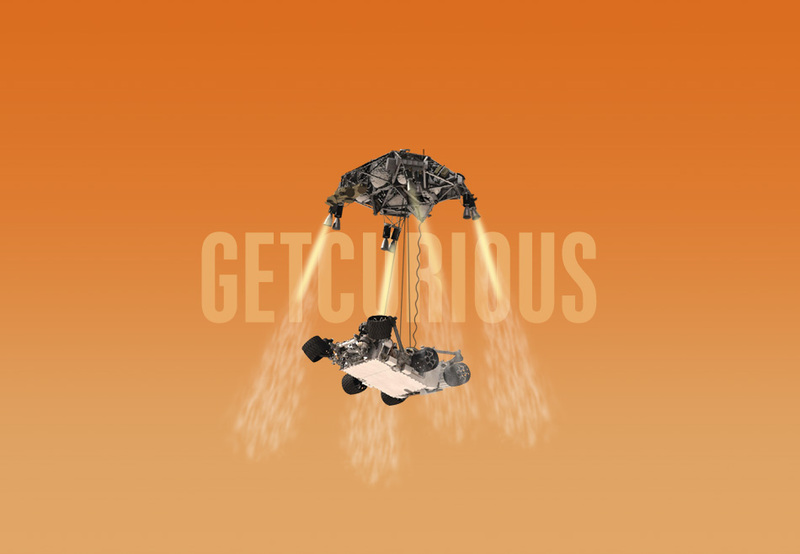 GetCurious.com is a project launched by The Philips and Company to help NASA raise awareness of Mars exploration prior to, during and after the landing of rover Curiosity on the surface of Mars. The project’s primary goal was to foster support for future manned missions to Mars. The Philips and Company partnered with TVI to bring The Get Curious campaign to life. It was developed as part of a global publicity initiative to raise awareness about Mars exploration and to provide an educational experience for anyone seeking to learn more about the Curiosity Rover’s mission. The most prominent feature was a countdown on the homepage until its landing. GetCurious.com combines technology and multimedia to foster science education. A three-phase campaign was executed to create real-time engagement and an interactive educational experience. Phase I -Inspire – was designed to inform the target audiences about the MSL landing, the goals of the program and to generate momentum behind the landing and its cause. Phase II – Excite – began three days prior to the landing and concluded three days after. Phase III – Engage – focuses on the continuously increasing interest in the rover. The goals of the campaign were aligned to reach audiences outside the space community (both domestic and international), drive traffic to www.GetCurious.com, and increase awareness of the Mars landing and space exploration. 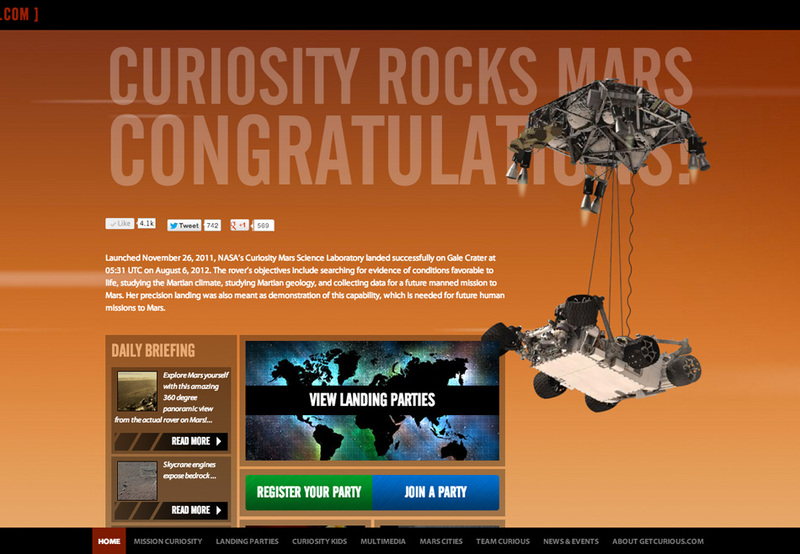 The main components of this project included social media integration, multimedia, news and press releases, as well as an interactive map for ‘landing parties’ happening across the country.Launched November 26, 2011, NASA’s Curiosity Mars Science Laboratory landed successfully on Gale Crater at 05:31 UTC on August 6, 2012. The rover’s objectives include searching for evidence of viable living conditions, studying the Martian climate, studying Martian geology, and collecting data for a future manned mission to Mars. Social media was a critical component to the Get Curious campaign. Facebook, Twitter, Google+, and YouTube helped inform citizens about the landing of the Curiosity Rover and kept them engaged.Traffic to the website and campaign-related social media sites was greatly increased by the social media icons located prominently on the GetCurious.com homepage. These icons generated over 4,400 likes, 734 tweets and 326 +1s.